Here it is. Finally, the fudge I've been talking about since December. The recipe I've been tweaking and perfecting all winter. 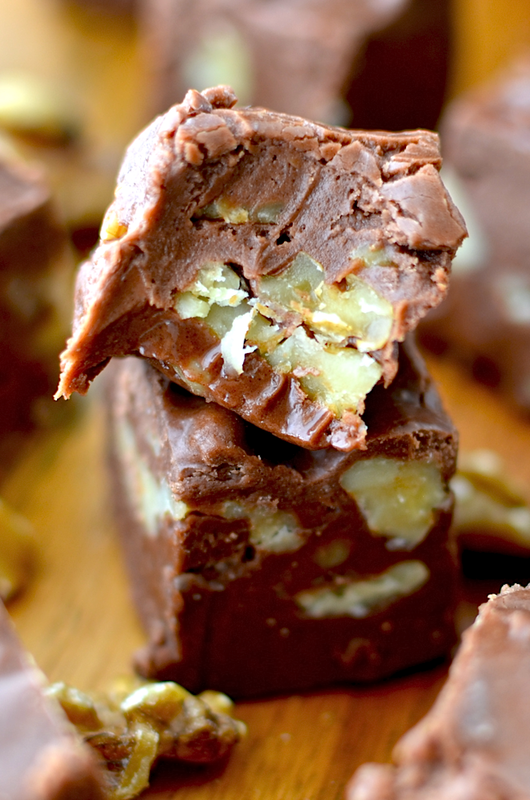 I wanted a fudge that was creamy and soft, but still stayed in nice solid squares. Now I bring it to you in all it's creamy, rich, chocolatey glory. So if you see a family of nine rolling down the street like giant blueberries in a chocolate factory, you'll have to excuse us. The amount of fudge I have fed my family in the past months is slightly ridiculous, but it was definitely worth it. 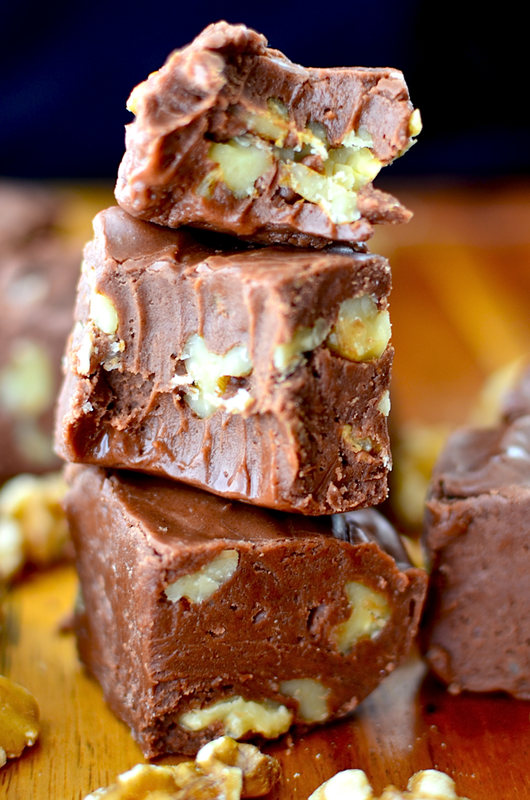 Now I never have to think about the intricate science of fudge making again. 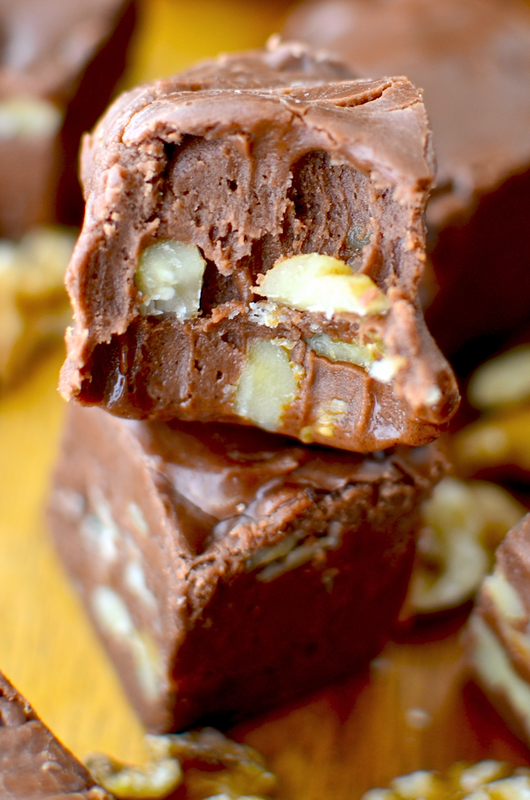 All I have to do is mindlessly follow this recipe and I easily have perfect fudge every time. 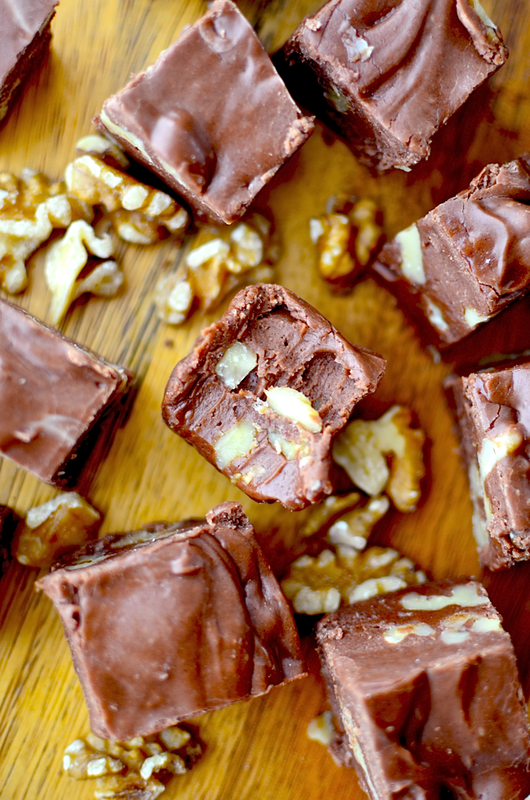 To those of you who are new to the fudge making business, let me give you some tips. 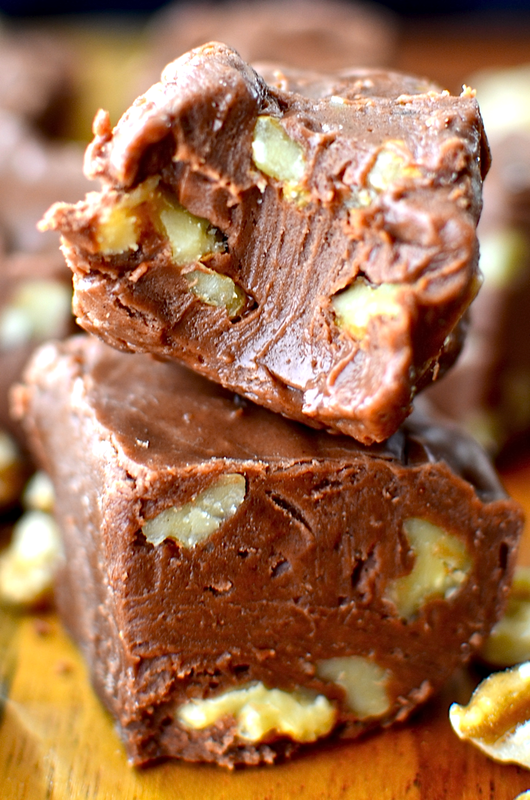 Fudge is a type of candy. It must be cooked to a specific temperature to achieve the correct texture. In this case you will need to cook the sugar to "the soft ball stage" (234ºF). If you don't have a candy thermometer, you can check if the candy has reached the correct temperature by placing a spoonful of the boiling mixture in a glass of ice water. After it has cooled for a moment, you should be able to form the sugar into a soft ball. Some people just time their fudge, but I feel like the time is different every time for me. I use chocolate chips for this recipe. I had many batches of fudge turn out with a clumpy, weird texture because the chocolate didn't melt well. To avoid this, I pour the hot sugar mixture over the chocolate chips instead of adding the chocolate right to the hot pot. This way the chocolate doesn't get overcooked by the hot pot. Make sure you use evaporated milk and not sweetened condensed milk. These are two totally different things. If you don't have evaporated milk, heavy cream is a better sub. You can use either marshmallow creme or marshmallows. I feel like a like the results are a little better with the creme, but both are great. 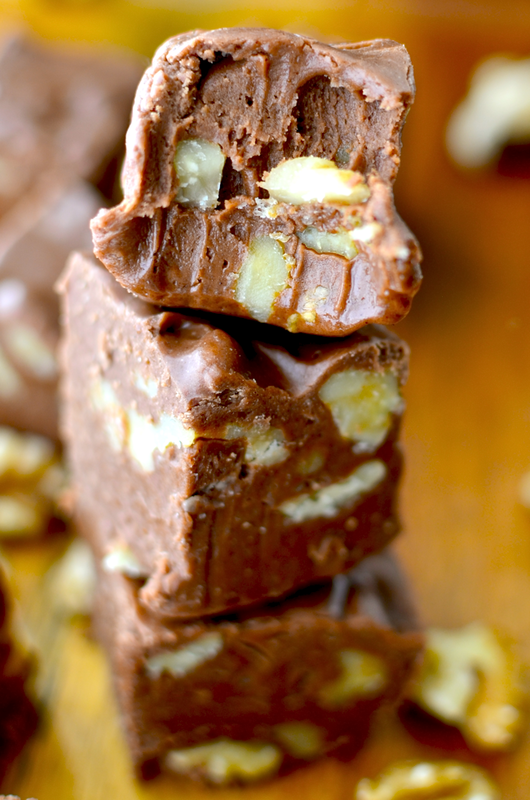 You can pour the fudge into any container or pan you want. It's best if you can line it with parchment because it makes removal easier. I like to use an 8x8 inch square pan, but you can use different sized pans, mini loaf pans, even muffin tins! I keep this stored in the fridge, but it's really good room temp because it's a little softer that way. This recipe is easily doubled. If you double it, you might want to use a slightly bigger pot and put it in a 9x13 pan. 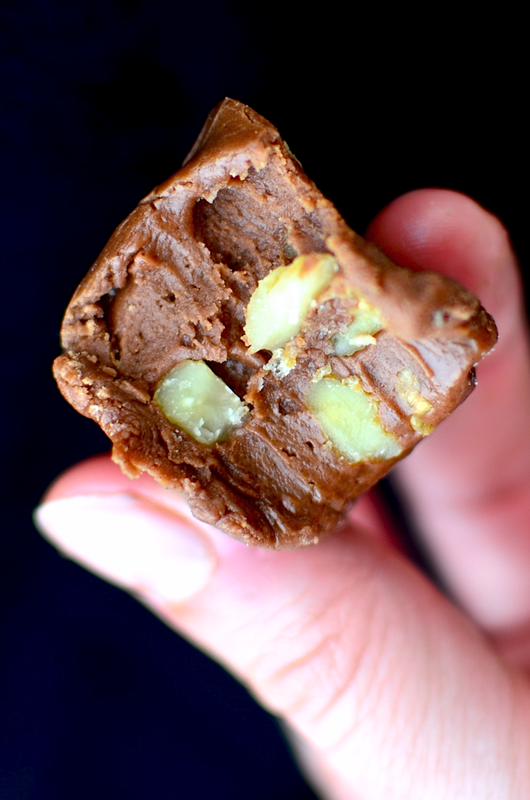 And if all of this is too complex for you, try this five minute microwave fudge. It's awsome too! 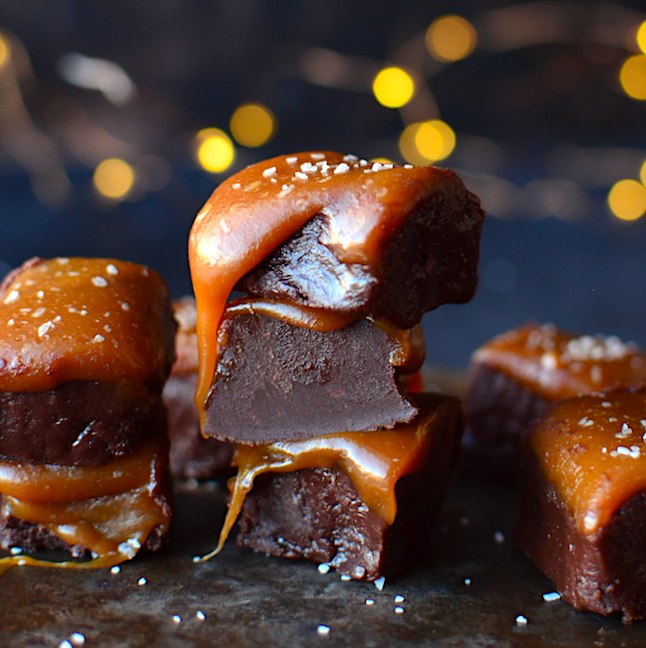 And if you love fudge, try out my 5 Minute Fudge with Easy Salted Caramel (click HERE for the recipe)! Line an 8x8 inch square pan with parchment paper and grease it lightly. Place the chocolate chips and vanilla in a large bowl. Set aside. Combine the butter, milk, syrup, and sugar in a medium pot (it should come about half way up the sides of the pan). Cook on medium heat. Bring the mixture to a boil, stirring constantly until it reaches 234ºF (known as "the soft ball stage") on a candy thermometer (or you can test if it's done by putting a spoonful of the boiling mixture into a cup of ice water. If you form it into a soft ball, it's ready). Remove from the heat and stir in the marshmallows or marshmallow creme until the mixture is smooth. Pour the mixture over the chocolate chips and stir until all the chocolate is melted and the mixture is smooth. Add the nuts if using. Pour the mixture into the prepared pan and cool completely before cutting.